This week, precisely September 13, 2016, the late Chief Bola Ige, a former Minister of Justice and Attorney General of the Federation, would have been 86 years old. He was born in Esa Oke, Osun State in the South Western part of Nigeria on September 13, 1930. He studied at Ibadan Grammar School between 1943 and 1948 and then at the University of Ibadan where he studied Classics. From there, he went to the University College, London where he graduated with a law degree in 1959. He was called to the bar in London’s Inner Temple in 1961. He practised privately after he established his law firm, Bola Ige and Co in 1961 and later became a Senior Advocate of Nigeria. Because of his oratory prowess, as well as his advocacy work in civil rights and democracy, he became well known.He joined the Unity Party of Nigeria, the successor to the Action Group during the Second Republic. He was elected as governor of the old Oyo State from 1979 to 1983 but was defeated when he ran for reelection in 1983 by Dr. Omololu Olunloyo of the National Party of Nigeria. Ige unsuccessfully challenged the election in court. He was a founding member of the influential Yoruba pressure group, Afenifere. Following the restoration of democracy in 1999, Ige sought the nomination of the Alliance for Democracy party as a presidential candidate, but he did not succeed. President Olusegun Obasanjo appointed him as Minister of Mines and Power and later Minister of Justice and Attorney General of the Federation. On December 23, 2001, the minister was shot dead at his home in Ibadan by unknown men. 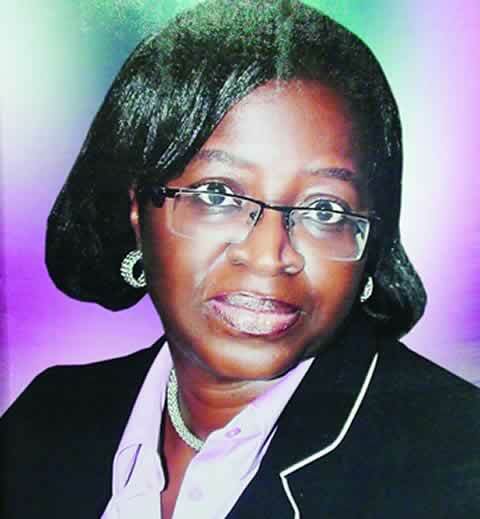 In this interview with OLUFEMI ATOYEBI, his daughter, Mrs. Funso Adegbola recalls with nostalgia the family life of the late erudite lawyer and expresses hope that the revisit of the murder case promised by the present government would do justice to the memory of the departed. What does the family think about the Federal Government announcement that the case of Bola Ige’s murder will be reopened? I will speak as a lawyer and daughter of the late Chief Bola Ige. If we don’t get to the root of political murder in Nigeria, it will be like an open sore in the nation’s political and legal system. It is almost 15 years since my father was killed and nobody has been made to pay the price for the murder.It is a welcome development that the Federal Government is reopening the case. It is never over until it is over. I think any government that wants to redeem the image of this country and people’s faith in the system will like to put a legal closure to the matter. But as a child of God, even if the perpetrators of the murder are put in jail or executed, it does not amount to my father and it does not bring him back. In terms of that, we are not seeking vengeance because nothing can bring him back. But we are asking for justice. He was the Minister of Justice when he was killed, so justice should be done to the killing and moreover, to restore the hope of common man and young people in the justice system.Someone must stop this senseless killing in Nigeria. If people kill others and get away with it each time, for us, it’s not going to add to our faith in the legal system.However, what keeps me going is the fact that there is divine justice. The Bible says vengeance is the Lord’s. The battle is the Lord’s. My brother and I have done everything possible as children (of Ige) to ask for justice. When the murder trial was on, we both gave evidence so we could not have done anything less for our father who gave everything for us, for Nigeria. We leave the rest to the authority and to God. Let’s travel back to the event of that day when he died. Where were you on the day of his death and how did you learn of his murder? I was the first person to arrive in the house when he was assassinated. It happened on Sunday, December 23, 2001, a day after my birthday. On the day of my birthday, my father called me on the telephone and prayed for me for 20 minutes. He said he was proud of me and told me that he was going to see his elder brother, George, who was ill in Lagos. He promised that he would attend Christmas carol of the church where I worship when he returned to Ibadan same day. The plan was that on December 24, he would travel to Esa-Oke for Christmas and that I would help him to organise food for his guests. At mid-day, I went to his house in Bodija but he had yet to arrive from Lagos. In the evening, I went to the house again on my way to the Christmas Carol but he was still not back. I told my mother that if he returned, both of them should come to the church. Then I left for the church, expecting them but they did not come.On my way back from the church, I visited the house again because I also live in Bodija area. I saw his two drivers outside the gate and one of them was trying to play with my daughter but she did not want any of it. On my way upstairs, I noticed an eerie silence. I also noticed that the key to my mother’s room was outside the door so I thought they were in the library. But my son called my mother and she answered from her room. He unlocked the key and we met my mother, my brother (Muyiwa) and his wife in the room. My brother then said that he thought they had shot our father. He rushed to his room while I followed; there we met him on the floor with a big gunshot hole in his heart. Muyiwa could not believe he was dead, so he blocked to hole with his hand and attempted to revive him. Then he took the body to his car, believing that he was still alive. I was crying while my brother took the body to the hospital. When I came out, he had sped off. Did you stay with your mother in the house? I drove to my house and told my husband what had happened. He thought I was joking. Unknowingly, when I left my father’s house, I did not remember to take my children home with me. My husband took me back to the house where I saw my mother crying and rolling on bare floor with my children. She said she would rather die because they had killed her husband. Did she see the body? She did not see the body because Muyiwa took it immediately and rushed downstairs. But she concluded he was dead because Muyiwa claimed he heard gunshot.The University College Hospital staff were on strike so my father’s body was taken to Oluyoro Hospital. Earlier in the day, my father had taken his brother from Lagos to the same hospital and was admitted to one of the wards. So the nurses were surprised to see the body of someone they had earlier seen in the day and who had given them cash gift for Christmas. They took the body to the theatre for surgery but he was dead. My husband later told me that he was brought in dead. I called my uncle, Dele and told him what had happened. When he got to the hospital, he met his sick elder brother (George) and both cried over my father’s death. Uncle Dele later collapsed and had to be revived at the hospital. What was the condition of your mother at home? At that point, there was no way we could hide the death from my mother, we had to tell her that her husband had died. She broke down.When we got home, my husband was trying to talk to the people who were with my father. One of them said they had gone up and saw my father dead but when I came in, nobody said anything about him being dead to me. In fact, one of them, as I said, tried to play with my daughter. Only one of them looked disheveled and subdued. They said they had gone to eat but Muyiwa said it was impossible for our father to ask them to go and eat outside at the time of the night when there was food in the house and there was a cook to prepare it.Obviously, it was either they were there when the killers came, or the killers told them to take a walk while they killed him. Only God knows what happened that day. What is obvious is that someone led Muyiwa’s wife to my mother’s room at gun point and locked them all there. Then someone else was with my father to carry out the killing. My mother was praying while all these were going on and she was certain that at the end of the operation, something terrible had happened. Whoever killed my father knew what they were doing. What did the family do after it was obvious that Ige had been murdered? My mother said I should call the then Oyo State governor, Lam Adesina, who also called the then President Olusegun Obasanjo. The security aide had 84 rounds of ammunition, which he should have used to protect my father, locked in a cupboard in the house. Obviously there was no attempt to defend him. We were promised justice but we are yet to get any. It was the darkest Christmas ever in the family. My father was buried on January 11, 2002 in a week-long ceremony. From the event that led to the death of your father, would you say that he had premonition of his death?Funny enough, I was the one that had premonition of his death. On December 18, 2001, my mother was honoured with the Order of the Federal Republic by President Obasanjo. On the 15th of the same month, my father’s cap was removed in Ooni’s palace. Two days after, a report was published where those who removed the cap said that would be my father’s last visit to the palace.On the night between December 21 and 22, 2001, I had a terrible dream that I was wearing black cloth and crying. When I told my father that he or my brother could be killed, he discarded the thought. I had earlier lost my immediate younger brother in 1993 so I could not bear the loss of another family member. My father said that nobody could kill him and I replied that Nigeria was not worth dying for. Then he said anything worth living for was worth dying for. When he was killed, I remembered that a day earlier, I had warned him of a tragedy in the family. December 15 was special in my life; it was the day his cap was removed in Ife and also the birthday of my daughter. Was it not strange that those who were to guard him went to eat at the same time on the day he was killed?It was bizarre that they left him at the same time. Could we insinuate that his security aides knew something about the killing? God knows everything. If lie reigns for 20 years, it will take only one day for the truth to catch up with it. We as humans only know a part, God knows the whole. My father was good to his staff and his family. It’s been 15 years since he was killed but we shall leave everything in the hands of God.Some are of the opinion that if your father had not served in the Olusegun Obasanjo government, he might have lived long. It is easy to say this now looking back. At the time, it was an offer he considered, prayed about and discussed with his political associates, friends and family. I cannot fault his decision. It was not a rash decision because he was careful about taking the decision. He did not join the government because of money. He was not a flippant person because he never chased money. Contentment is something I inherited from my parents. I was 41 years and one day when he died and I was 42 when my mother died too. Both of them died at 71. Suddenly after your father’s death, a man named Gbenga Adebayo alias Fryo claimed he knew who killed your father but later withdrew his story. Did you believe his story? I don’t know who he is or who his agents are. All of them could not tie the lace of my father’s shoes. I leave them in the court of God. It is government’s duty to provide security for the people and if a Minister of Justice could be killed like that without justice, how much more ordinary people on the street. Some people like Chief Ayo Banjo and others have said that it was possible that former President Obasanjo could know the killers? What do you think? It is up to him to say what he knows. He has never told us anything. We don’t know what he knows but I am sure that God knows everything.You had a belief before your father’s death that Nigeria was not worth dying for. Fifteen years on, do you still think Nigeria is not worth dying for? No, Nigeria is not worth dying for. For my dad, that was his own belief (that whatever you live for is worth dying for), I don’t believe Nigeria is worth dying for because there hasn’t been justice. If somebody or some people are paying the price for his death, then I’ll know that Nigeria is worth dying for. My father believed too much in this Nigeria. Every time you said anything negative about the country, he would say no, Nigeria is going to be great, that Nigeria would someday be part of G7 and all that stuff. That was him, and I don’t condemn him for it. But as for me, Nigeria is not worth dying for. I’m going to live for my children, my grand children and great-grand children. God forbids anything to happen to you in this country, you are on your own. So, I’m not going to die for Nigeria. My father has already died for Nigeria; nobody in my family will ever die for Nigeria again. After the December 15, 2001 encounter in Ile-Ife, where your father’s cap was removed, did he mention the name(s) of anybody to you who was actually behind the incident?He just mentioned the names of those people who were at the event. Because I remember it was the late Stella Obasanjo who was being given a chieftaincy title, so he named those who were at the event generally. If I remember well, (Chief Iyiola) Omisore was there, he was the deputy governor at the time, there were people from the Federal Government there. I’m not sure if former President Obasanjo was there.You have nursed this story in your mind for about 15 years, how does it feel to remember it again?As you can see, it is very painful. Even now my voice is still shaking. It’s very sad. And because the person I loved most in my life was my dad, it really hurts me that somebody can kill my dad that I loved so much (…sobbing and later in tears…How could you just kill someone who could not even kill a chicken? So, it was one of the most painful things that has ever happened in my life. My brother had died before; he died in his sleep. It wasn’t as painful as someone killing my dad. My mother died 16 months after my father died because she too was heartbroken. She died a day after the star witness changed his witness. My mother died the following morning. In fact, we’ve been through a lot, so that is why I still tell my children that Nigeria is not worth dying for. For posterity’s sake, are you looking at documenting these incidents into a book form so that future generation can understand better what actually happened? ny time I think I have got over it, I find out that it is still always very painful. Other people have written about it but luckily, my children met my dad but my brothers’ kids, only one of them was alive when my dad was alive and he was a baby. So, I really think that for my children and my children’s children, I really should document the incident. Luckily my father is a kind of person who documented things himself. He wrote books. My father already wrote ‘Kaduna Boy’, which is a story of the first 17 years of his life, when he was in primary and secondary school. That account ended in 1948, when he went to the University of Ibadan. So, in a way, he himself has told his own story. But the story that is untold is the story of his death and because on the story of his death, there won’t be any closure really until we find who did it, who sent them. I want to look at them in the eyes and ask them why they killed him. When it happened, for a long time, all I could think about was his dead body on the floor and I really asked God to take that memory away from me. Then I remember how he used to take me to school, when I would act plays and he rehearsed the lines with me.I wrote a book for his 74th birthday, which was ten years ago, which I dedicated to his memory. I wanted to do it for his 70th birthday but I couldn’t go round to it. I wish I had gone round to it. I wish I had done the book in his lifetime. By the time I would have gone round to the book, my mother had even passed. So, none of them saw the book. So, that taught me great lesson and that is why I don’t like procrastinating. My parents were fantastic; how many people had SAN (Senior Advocate of Nigeria) as their dad, and Justice of Court of Appeal as their mum? My father was governor when he was 49 years old, a commissioner when he was in his 30s, Publicity Secretary of the Unity Party of Nigeria when he was 27 to 32 years old, so he achieved a lot and had been through a lot as well. Even my mother had been through a lot. They got married in 1960 and by 1962, he was placed on restriction order. In 1983 he was jailed. In 1998, former head of state, General Sani Abacha captured him as a prisoner of war. About six years to the end of the administration of former President Olusegun Obasanjo, the government couldn’t track the killers. Do you believe in the judicial system to give you justice now 15 years later?I am a lawyer. Both my kids are lawyers. My dad and mum were lawyers too. So, it’s like I must have faith in the judicial system. That is the system my mother served for over 40 years of her life. And that was what kept my mum going that ‘won o le pa Bola gbe’ (Bola’s killer can never get away with it), and the day that she saw that ‘won ti pa gbe’ (that the killers have gone away with it) she died the following morning.So, truly, I must have faith in the legal system because that is the way I’m trained. But it is not the legal system that investigates a crime, it’s the police. So, I know that abroad, even cases that are on for 20 years, if they have fresh evidence like DNA or forensic evidence, they will revisit them.